Fa anys que explico a qui m'ho pregunta que les senyeres de l'epoca Tudor sobre fons platejat o blanc eren angleses (vegeu detall més avall) Són l'origen de la bandera de la West indian Co. i més tard de la bandera americana..
Quadre escanejat on hi manca part de la senyera (llom del llibre) by M.C. Senyera re-creada amb copy paste per M.C. The flags with same design were hoisted at three mastheads of the ship. Ací el teniu el quadre de la invencible amb més ressolució al tanto que no totes són senyeres nostres..apart que la "England's flag és la creu de St.George".. les de barres bermelles són del Tudor (Isabel I).. origen de la bandera de la West indian Co. i desprès de la americana..
Vull tornar a remarcar que a la Reina Verge la pinten amb una bandera molt semblant a la catalana (amb fons blanc o platejat) la que, com he dit abans, més tard donaria origen a la de la "West Indian Company"
premeu tots els hotlinks=> són importants!!! Heus ací el punt! La creu de Sant Jordi, si apareix a una nau nostra... mai ha estat un signe castellà .. sinó català! ... Felip V la va prohibir que en els decrets de Nova Planta. I notice the article has aquired a panorama; I've moved it down, as it was too obtrusive parked in the middle of the History section. I've also converted it to a normal image file. 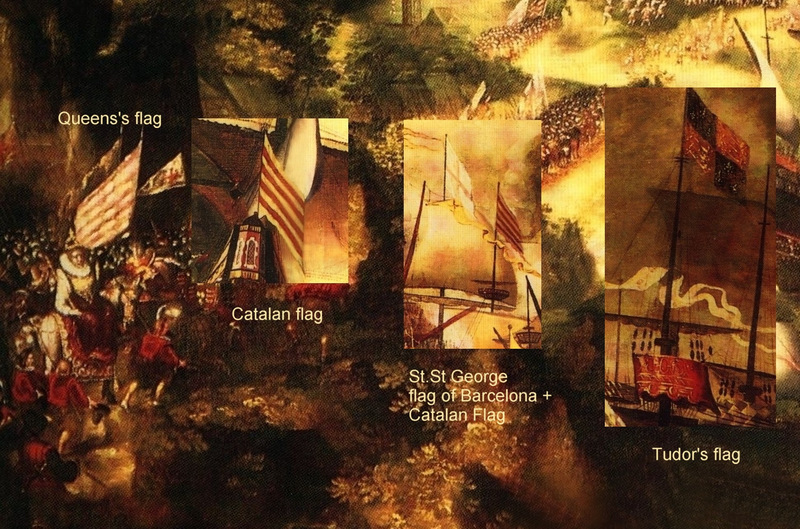 The caption there (and on the image) said "At least two catalan flags hoisted on two Armada ships against what it has been said officially in the spanish records" which seems prety dubious, so I've brought it here for discussion. Well! here is the point! St.George's cross has never been a Castilian sign.. but.. a Catalan sign!... Philip V has banned it in the Nueva Planta decrees. OK Manuel; first of all, your edits posting of the picture here, and on Commons, look like you are trying to make a point, and are contrary to WP policy on maintaining a neutral point of view. As far as this article is concerned it was the armada of the King of Spain and "was composed of 151 ships, 8,000 sailors and 18,000 soldiers, and bore 1,500 brass guns and 1,000 iron guns"; where they came from, and where their crews were born, is not an issue for this article, though it might be relevant at the "List of Ships" article. If you have a reliable English language source that describes a Catalan squadron in the Armada, or lists some specifically Catalan ships, then you should suggest it’s addition on the talkpage there. Gravelines coast with no cliffs. 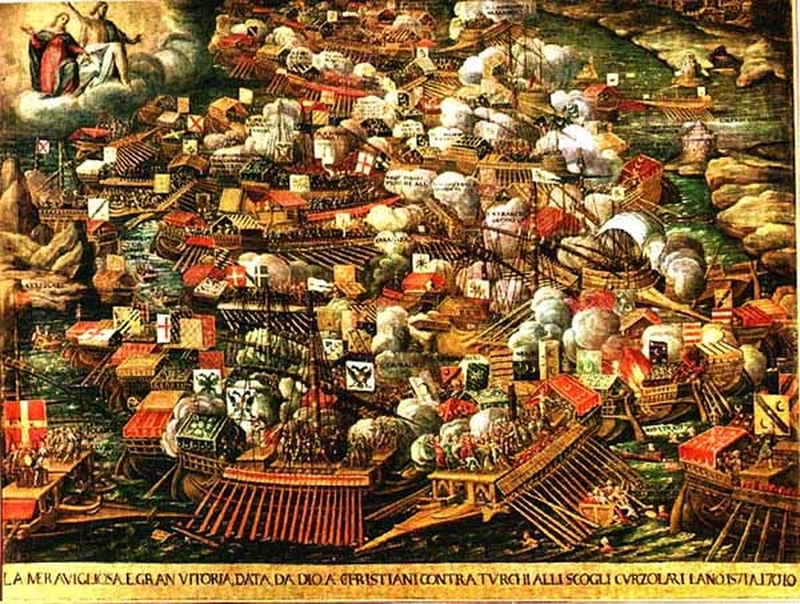 "A painting of Nicholas Hilliard (who fought in the battle), showing the "Invincible Armada" sailing off the "cliffs" of the coast of Cornwall (mistaken by some authors, for the Gravelines coast, wich has no "cliffs" at all). 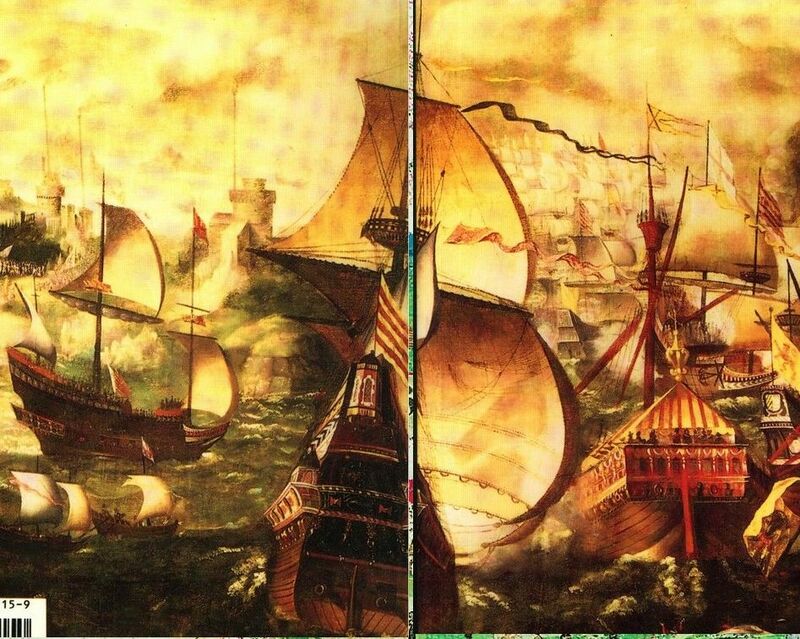 At least two Spanish flags hoisted on two Armada ships, one in the center of the picture. 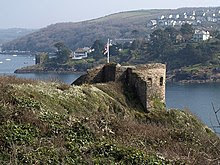 (Not to be confused with that of Elizabeth I watching from ashore)." It is also Original Research; what is the source for any of the statements made? The only neutral thing that can be said out of this is that it is a painting by Nicholas Hilliard, and that it depicts the Armada. I have removed all catalan references so please stop talking about INH whatsoever..
You need to stop edit warring over this, and come to an agreement. And thank you for the reference, but you are missing the point. You've stated that this is “the "Invincible Armada" sailing off the "cliffs" of the coast of Cornwall” and that some authors “mistakenly” say these are the Gravelines coast; however plausible your reasoning, it is Original Research unless you can back it up. 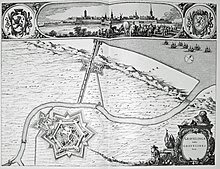 This (at the BBC website) calls it “The Battle of Gravelines” as does your reference which states “it must be the battle of Gravelines” (p129). 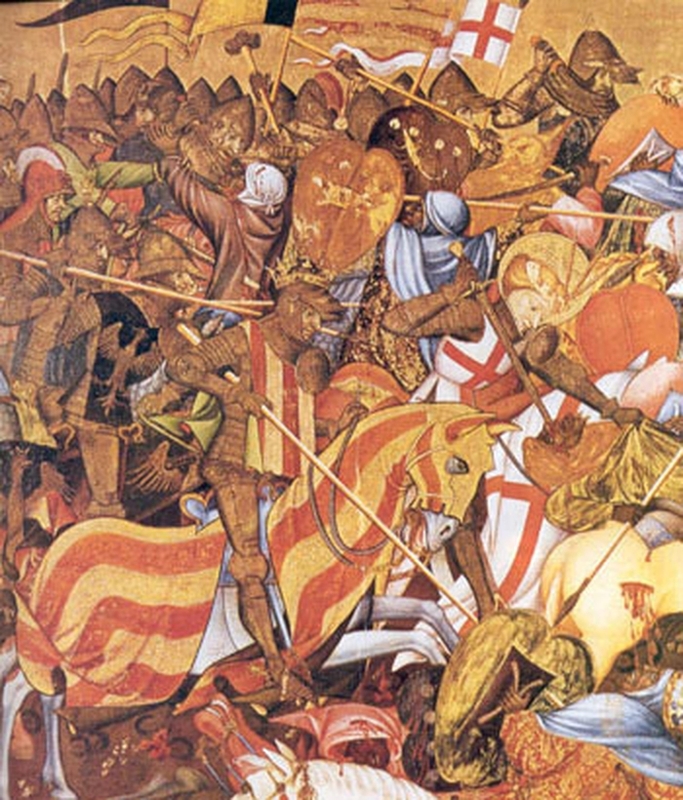 You also say this is “a painting of Nicholas Hilliard” (which I’d accepted), though your ref says this “cannot be supported” (p126); you also say that he “fought in the battle”; where is your evidence of that? Also, your comments in the article, about my query over the English flag, is editing to make a point; those comments should have been made here. And I've no idea what your comment about 1978 is supposed to mean, but my comment about the image being "borderline" is colloquial; it means I felt the value of the image to the article is marginal, particularly if it is going to be a cause of conlict; if that is the case we can probably do without it. 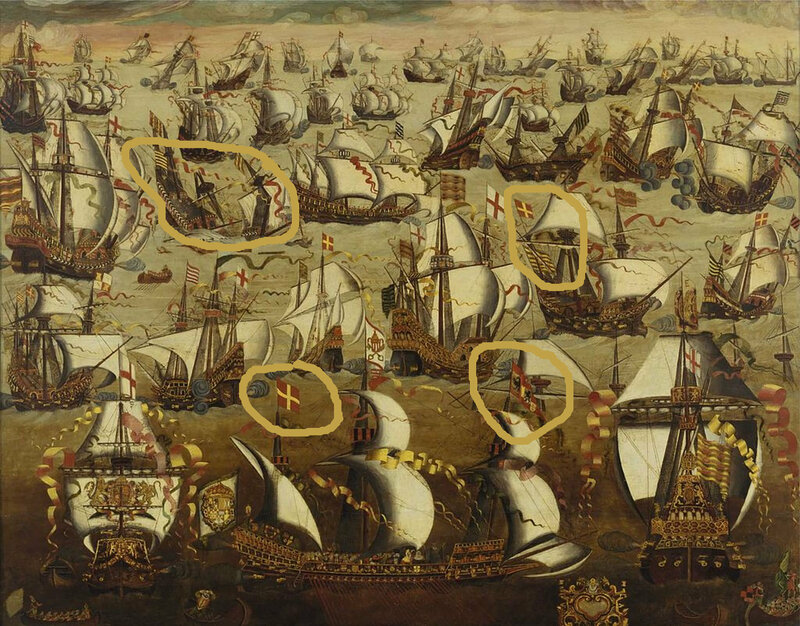 As for the rest of your caption, the image is supposed to illustrate the subject; I fail to see the importance of pointing out that two of the Spanish ships are flying Spanish flags or that Elizabeth I is standing by an English flag. I've said your caption is brilliant, but you didn't know how to differentiate a Catalan flag from an english flag in those paintings (as all my colleagues at INH.cat do but the other way round). I know a little about it for I've been studying the Armada since 1971. I arrived at Cowes as a Baron Yachting Instruments service engineer in 1971, and one of my coleagues shouted at me "Hi wog.. how is your fleet since the last time we sunked it? Here came my interest about it..  I've been sailing along all the southern coast with my good friend Rodney Pattisson so I know most of it--85.50.90.36 (talk) 16:10, 9 October 2011 (UTC)..Sorry..my IP..
Hola Lluis, he carregat la pintura de Cadis, amb la senyera que sembla canònica, i que de fet va ser un atac preventiu fet per Drake abans de la invasió..
Bé.. "Només sé que no sé res", tot ès possible..
M'encantaria donar-te la raó, i de fet durant molt de temps jo opinava el mateix que tu a la vista del quadre objecte d'estudi... però totes les presumpcions em van caure a terra com un castell de cartes, en veure aquest altre quadre de la batalla de Cadis (1608). En ell s'hi veuen, en primer pla, dos galions llençant-se canonades. El de l'esquerra ès inequìvocament espanyol, mentre que el de la dreta... Coi! Una senyera canònica a popa!! Sí­, però... tota la resta d'elements identificatius del galió a la dreta de la imatge són anglesos. A popa llueix l'escut reial anglès, la bandera de pal major és la reial d'Anglaterra, i les de trinquet i mesana són de Sant Jordi. I això tira per terra les nostres presumpcions respecte al quadre que comentes de la Spanish Armada.